Backed by our team of highly talented and diligent personnel, we are able to manufacture, supply and export finest quality Imperial White Granite. Our imperial white granites are highly reckoned for its excellent abrasion resistance, able to withstand varying pressure, stain resistance and stunning designs. 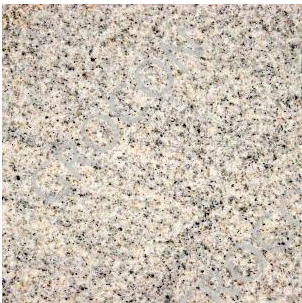 These imperial white granites have white color with sprinkle of small black and brown shade. These imperial white granites are ideal for walling and flooring for these reflect light hence, providing better illumination. Established in the year 2006, we have established ourselves as an authentic manufacturer, supplier & exporter of Natural Stone.Our entire range includes Natural Stone - Sandstone, Slate stone, Limestone, Quartzite, Granite, Marble. Sanitary Wares - Suites, Basin, Closet and Bath Accessories & Ceramic Tiles - Wall Tiles, Floor Tiles. The products we offer are made using high grade material, which we source from reliable vendors of the market. Our professionals make sure that the tiles manufactured are at par with international standards of quality. Being highly durable, easy to clean and abrasion resistance, these tiles are highly demanded for flooring in several offices and homes.